Katie & Rookie…at first look – an unlikely pairing. A five year old girl with a big bright smile and yellow wellies – best friends with a sweet, innocent and comical crow! 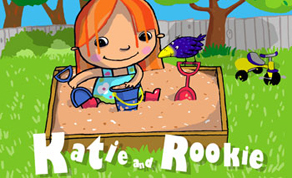 At home, in the garden, at the playgound or around the pond – Katie & Rookie’s view of the world encourages children to open their eyes and see the wonders of nature lying in wait for them just outside their own door and learn that on the big beautiful planet where we live we are all part of the diverse, yet interconnected family. Above all, it’s so much fun! IFTN speaks with rep bodies, distributors and production companies about market event.